Hailing from the very fine state of Georgia, Jeanette Zeis creates fanciful ceramics that I am absolutely adoring. They are feminine but not so much that you can't use them everyday. 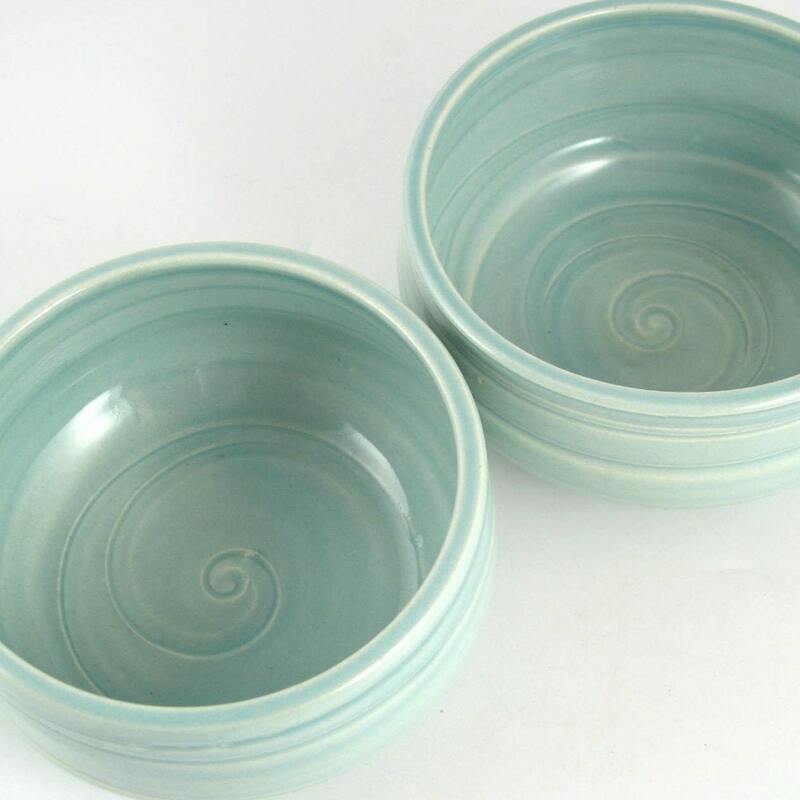 Her pottery strikes a very nice balance between femininity and casualness so it's perfect for everyday use. *Check out the Vessels and Wares blog! 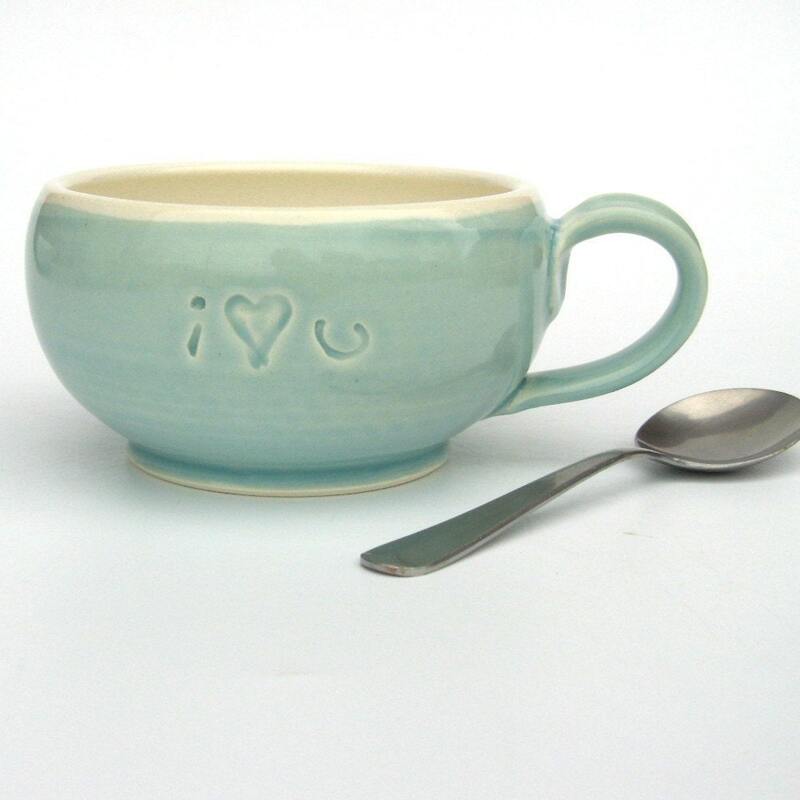 I heart U cozy mug from Etsy for $23.00. I could use this for tea, coffee, ice cream or soup. 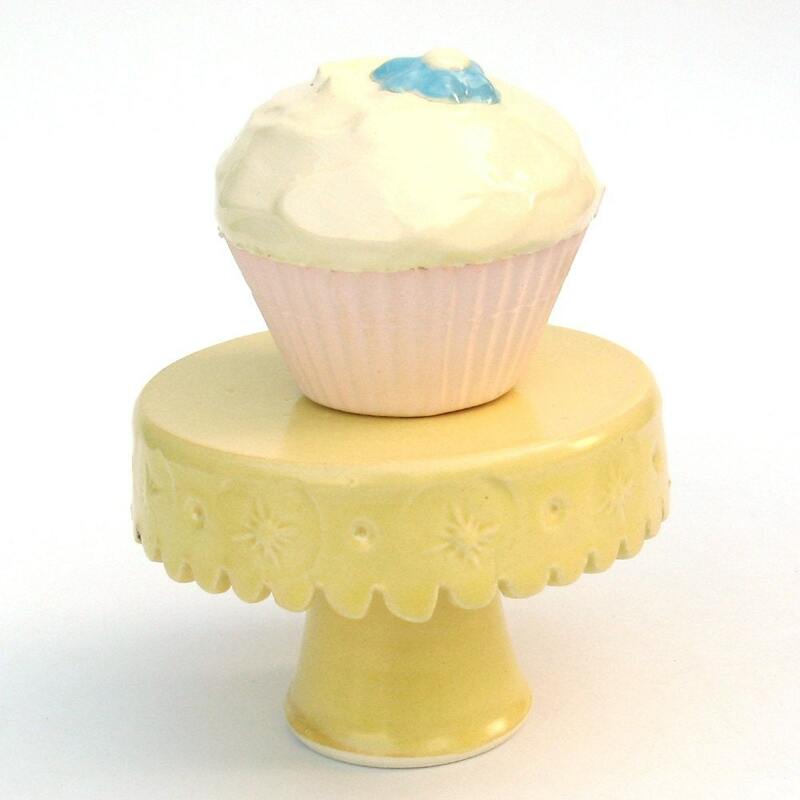 Cupcake stand in yellow from Etsy for $20.00. Cupcake stand...in purple with ruffles from Etsy for $20.00. 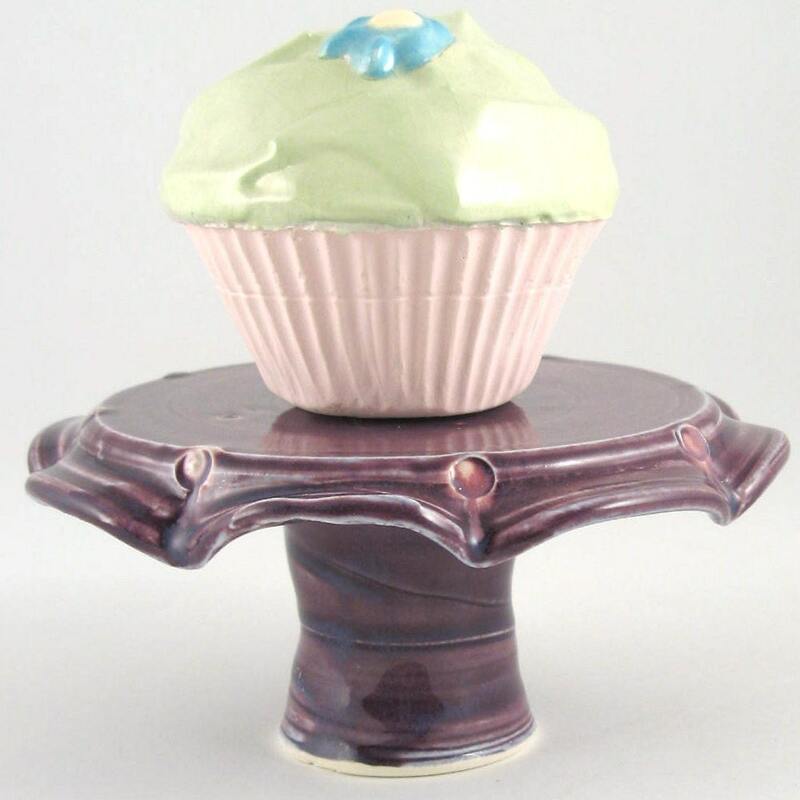 Show off your cupcake decorating skills with these cute stands. 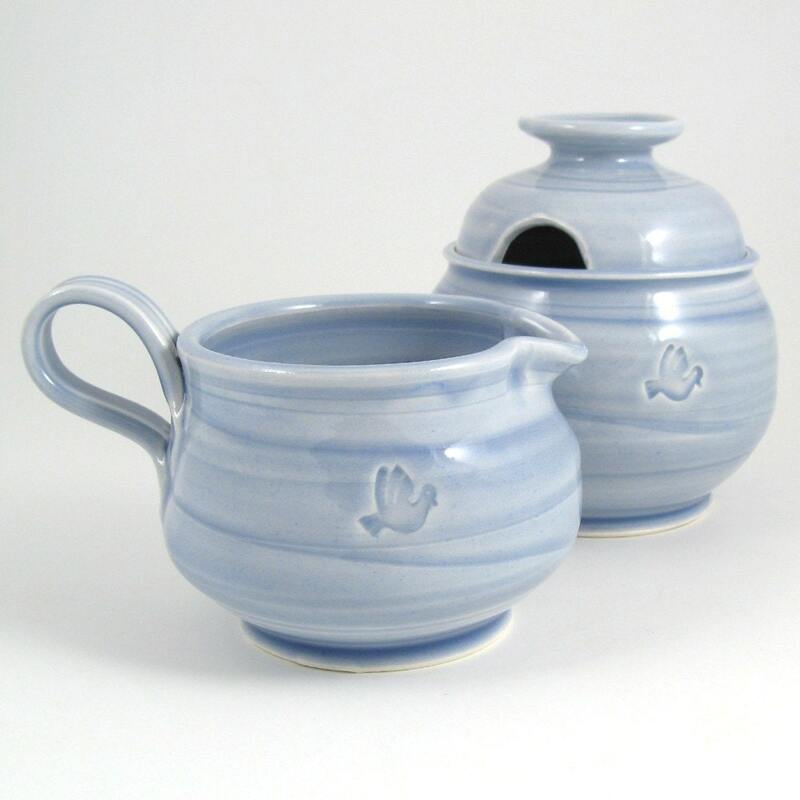 Creamer and sugar jar set in baby blue from Etsy for $48.00. 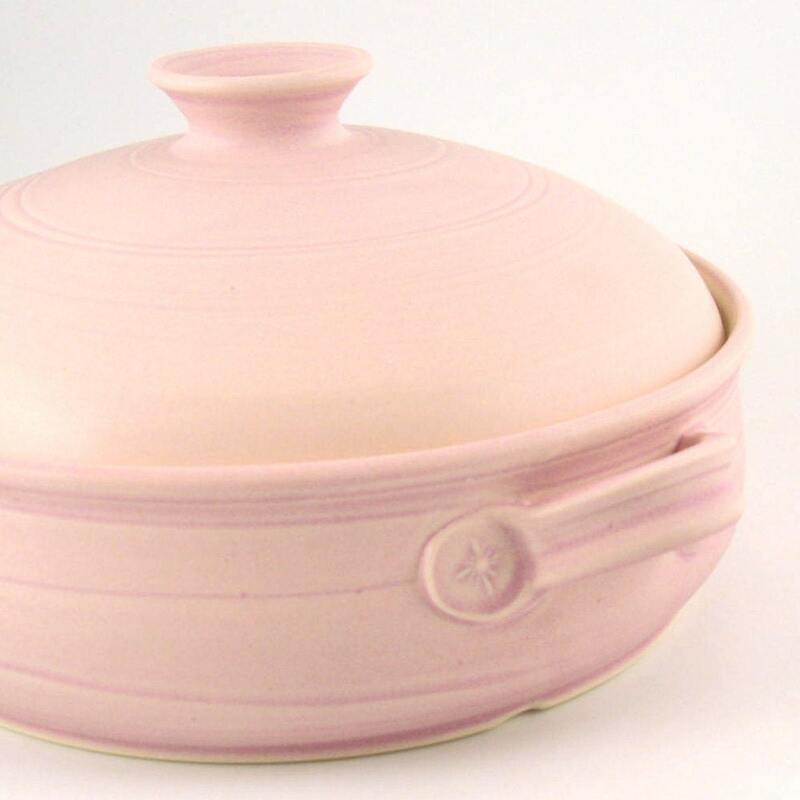 Pink casserole from Etsy for $50.00. 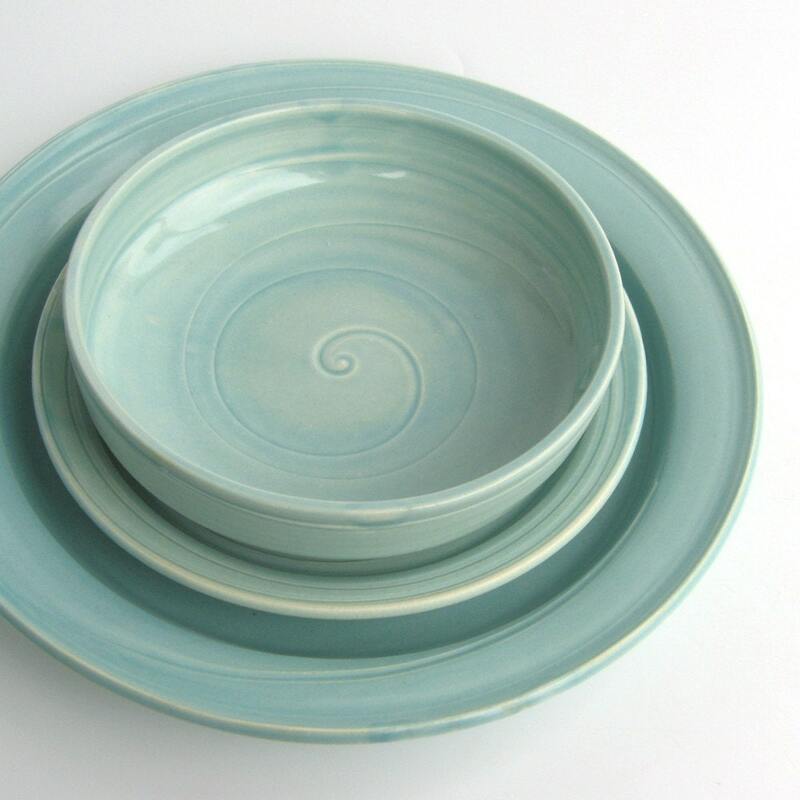 Aqua 3 piece dinnerware set from Etsy for $76.00. 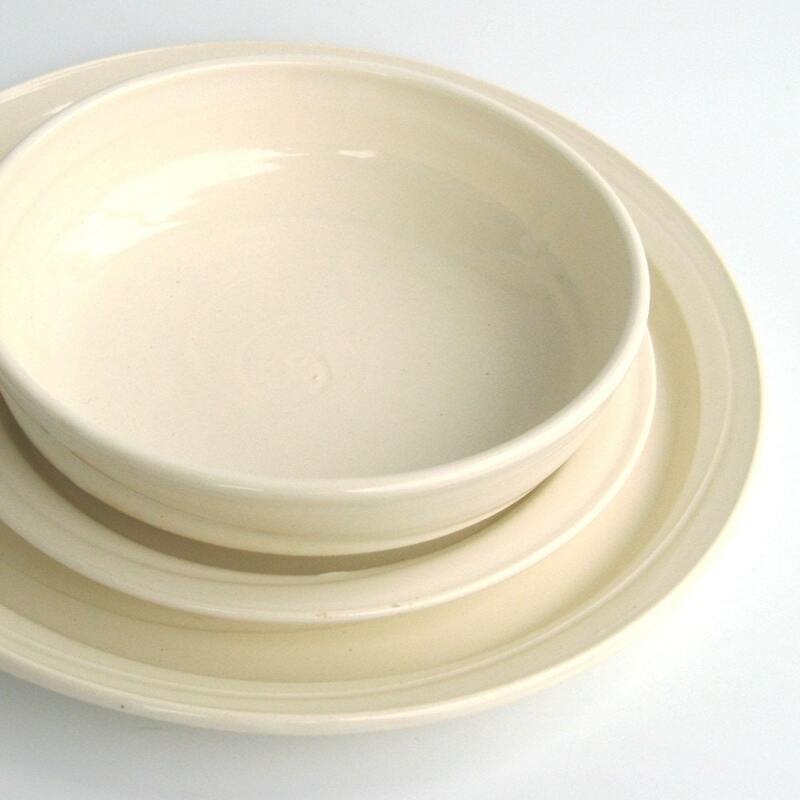 White 3 piece dinnerware set from Etsy for $76.00. 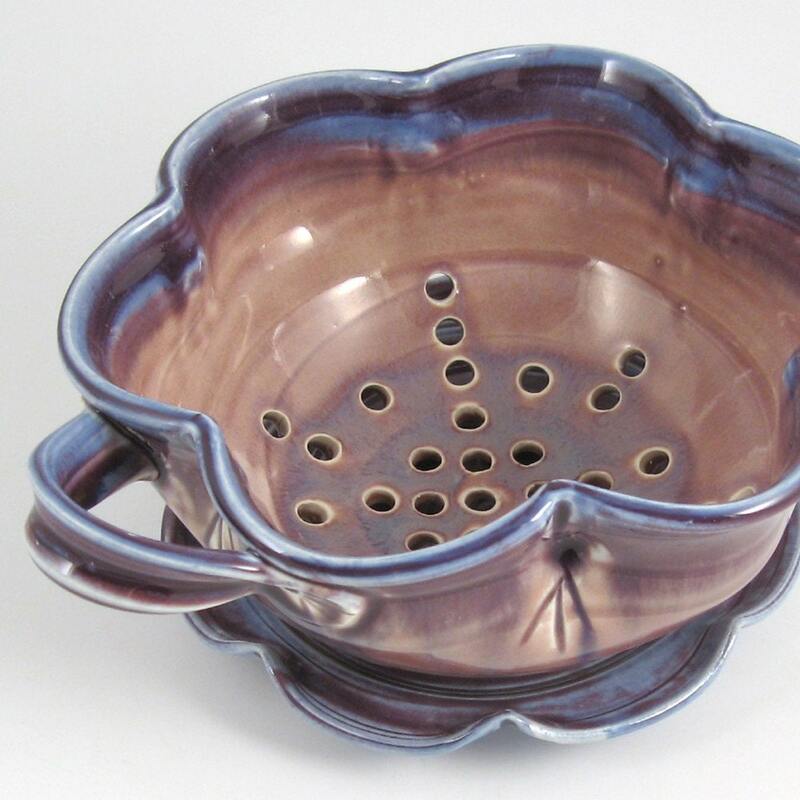 Large floral berry bowl and saucer from Etsy for $62.00. Small prep or dessert bowls from Etsy for $24.00. This has cereal bowl written all over it. 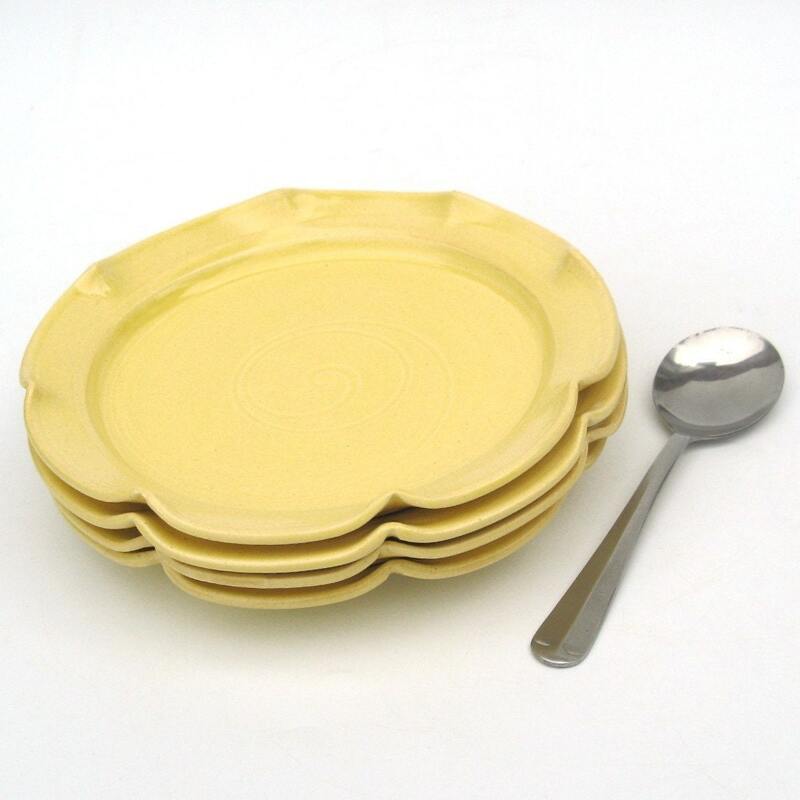 Set of dessert plates from Etsy for $48.00. I think I have an obsession with plates. All kinds of plates, you name it I want it. Especially dessert plates since you can serve other fare besides dessert on them like peanut butter & jelly sandwiches. They are the perfect size for that snack in-between meals since they aren't too big or small.